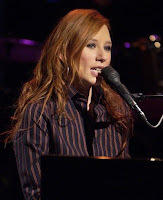 Tori Amos has added another show to her tour, which has her in Australia for a few more weeks, and then back to the States to support her latest album, American Doll Posse. Presale tickets will be available Friday morning for the show at Northrop Auditorium at the University of Minnesota, which Amos will play on November 7th. Get your presale tickets here when you use the password PIANO. Although presales are a bit slow due to the holiday, there will be a Live Nation presale for the Jennifer Lopez and Marc Anthony show at the Trump Taj Mahal in Atlantic City. You can access the presale here on Friday morning - be sure to enter the password INDIE. Good luck! 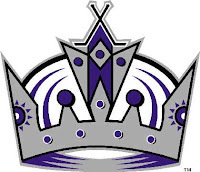 The LA Kings will take to the ice this October, and presale tickets for upcoming home games will be available on Thursday morning. The catch to this presale is that it's only accessible to American Express card holders. The password is actually the 800 number on the back of the card, and you'll only be able to pay with an AMEX, so there's no way around this stipulation. If you are an AMEX card holder, you can access all of the presales from this main page. Good luck. Jennifer Lopez and Marc Anthony will be coming to the Trump Taj Mahal in Atlantic City and Centre Bell Centre in Montreal as part of their upcoming ING sponsored tour. Presale tickets for both shows will be available on Thursday morning. Access the Trump Taj Mahal presale here, and the Centre Bell Centre presale here. The password for both is MACMEMBER2007. Good luck! We haven't heard much from John Mellencamp lately, but his fans will be pleased to know that the singer will be going on a short tour, primarily through the midwest, to promote the release of Freedom's Road, his latest studio album, which is available now. There will be presales for all of these shows on Thursday morning, and they'll be accessible to fan club members only until Saturday. If you're not yet a member but would like to get presale tickets, you have the option (that we recommend) of buying your tickets and membership in a bundle. This means that when you visit the presale page (all of them can be found on this page) you can look for tickets first, and if you're satisfied you'll pay an additional $30 for your membership. 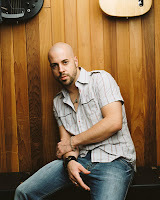 American Idol alum Daughtry is touring with his band this fall, and will hit somewhat smaller venues as he continues to tour in support of 2006's self titled debut album. Get your presale tickets on Thursday morning for the show at Hard Rock Live in Hollywood, FL when you click here and use the password CRASHED. There is currently a presale going on for the Martina McBride show at the i wireless Center in Moline. Ms. McBride is touring behind her 2007 release, Waking Up Laughing, and will hit just a few venues during her brief tour. You can get tickets now when you access the presale here and use the password KHAK. Tickets will be available for presale on Thursday morning to see Korn at Wachovia Arena in Wilkes-Barre. Although the iTunes presale has already begun (and you can still access it), you can access another presale using the password ARENA at 10am. Just click here to check it out. There will be yet another presale for the Kings of Leon when they play a show with Black Rebel Motorcycle Club. The show will be at Jannus Landing in St. Petersburg, and you can access the presale right here on Thursday morning. The password is KINGS. Boston band the Dropkick Murphys will be going on a brief tour this September in support of their upcoming album, The Meanest of Times, which will be out on the 18th. 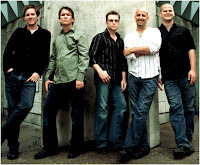 The tour will culminate with a return to their home town for a show at Avalon on September 30th. There will be a presale for this show on Thursday morning, and you can access it here when you use the password MEANEST. Good luck! Scottish singer/songwriter Paolo Nutini was forced to change around his North American tour schedule when his co-headlining gig with Amy Winehouse was postponed. Now he's back on track with shows set for September and October. There will be a presale for his show at the Moore Theatre in Seattle on Wednesday morning. You can access it here; the password is KMTT. 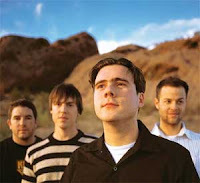 Jimmy Eat World will follow the release of their new album with a tour across the US that will kick off in Arizona at the end of September and go through October. Chase the Light will be out October 13th, and will feature the single Big Casino, which will hit radio airwaves in the next week. There will be a presale on Wednesday morning for the show at the Wiltern in LA, you can access it here when you use the password CASINO. 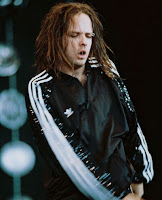 There will be 2 presales for Korn tickets on Wednesday morning, and both are iTunes presales. What this means is that you must purchase their new album (untitled) through iTunes, at which point you'll receive a unique password that will allow you to access the presale. Once you get your unique password you can check out the presales for the shows at the Bryce Jordan Center in University Park and Wachovia Arena in Wilkes-Barre. Good luck! Giants Stadium suites are available in very limited supply for games versus the Packers, 49ers and Vikings! Stadium suites generally hold 22 guests (16 seats with 6 "standing room" tickets) and include four (4) complementary parking passes. Although there have already been several presales for Queens of the Stone Age, there will be at least one more on Wednesday morning for our neighbors to the north. The presale for the show at Hummingbird Centre for the Performing Arts in Toronto can be accessed here. The password is SICK. The WWE will be bringing their unique brand of entertainment to Quicken Loans Arena this October, and there will be a presale for the event on Wednesday morning. Get presale tickets when you click here and enter the password RAWC. Good luck! Mexican acoustic guitarists Rodrigo Y Gabriela will be heading out on tour from mid September through the beginning of November, hitting most of the country while doing so. Although they're relative newcomers to the American music scene, the Mexican-born duo gained notoriety while touring around Europe (they got their start in Dublin). 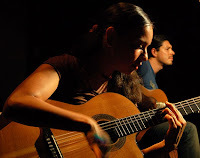 Their eclectic mix of guitar styles have influences from flamenco to metal and everywhere in between, and both guitarists play with a quick fingered adroitness that sets them apart from other acoustic musicians. There will be a Live Nation presale on Wednesday morning that you can access right here. The password is INDIE. 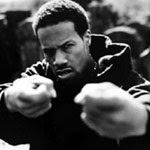 Rapper Redman recently released a new album, and will spend a few weeks in September and October touring behind it. Red Gone Wild-Thee Album was released at the end of March and features collaborations with Method Man (also from the Wu-Tang Clan), Snoop Dogg, and Biz Markie, among others. Redman will be making a few stops across the US, and will eventually end up at the House of Blues Sunset Strip in Hollywood. Presale tickets will be available on Tuesday morning for this show. You can access the Live Nation presale here; the password is INDIE. Tickets for Wintuk, a new Cirque du Soleil production go on presale for the WaMu Theater at Madison Square Garden on Wednesday, but there is an opportunity to get presale tickets now through the group ticket office. Call 212-465-6080 for details. Because of the stage set up, 100 level seats will be removed for these performances, making the 200 level seats the best in the house. These Front/Center Orch seats are reduced from $110 to $65 if you buy 20 or more tickets. To get this special pricing, you must choose a non-peak time, but there are a lot of Thursday and Friday nights and Saturday and Sunday afternoons listed as non-peak times. Call now for specific locations and availability. They WILL give you section and row numbers before you purchase tickets if you do it over the phone. Check the market for Wintuk tickets here. 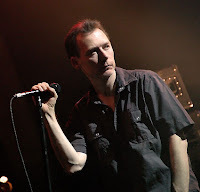 The Jesus and Mary Chain will be performing at the House of Blues in Las Vegas with Evan Dando of the Lemonheads, and presale tickets for the show will be available on Tuesday morning. This will be the only show featuring Evan Dando, though the JAMC will also be performing with Soulsavers featuring Mark Lanegan in LA. Access the Live Nation presale right here and use the password INDIE to get your tickets early. Presale tickets to the 41st Annual CMA Awards at Sommet Center in Nashville will go on sale Monday morning at 10am CDT. You can access the presale right here, be sure to use the password EXCL. 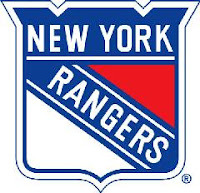 Tickets will be going on sale on Monday morning for the Rangers preseason games. Click here to access the sale and get tickets to see the Rangers play the Devils, Islanders, and Flyers before the hockey season officially begins. Good luck! 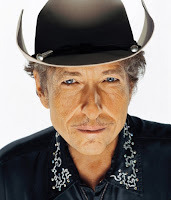 There will be two more presales to see Elvis Costello open for Bob Dylan this fall, and they will both take place on Monday morning at 10am local time. For the show at Cumberland County Civic Center just click here and enter the password HEATHMAN. To access the presale for the show at the Verizon Wireless Arena in Manchester you can go here and enter the password WILSON. That's right, there will be a few more presales on Friday morning for tickets to see Bob Dylan with Elvis Costello opening. For the show at DCU Center in Worcester go here and enter the password METRO. For presale tickets to the show at Ryan Center in Kingston just click here, and the password for this show is K101. Good luck! Clint Black will be going out on tour from the end of August through the beginning of November. 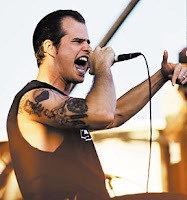 Earlier this year Black released a full length album, The Love Songs, as well as a single, The Strong One, and will be promoting both on his brief tour. Presale tickets will be made available on Friday morning, and you can access that presale when you click here. The password is LISA. When Fall Out Boy returns from a series of shows in the UK and Australia they'll be heading out on the Young Wild Things Tour with Gym Class Heroes, Plain White T's, and Cute Is What We Aim For. Presale tickets for several of these shows will be available on Friday morning, check out the dates, venues, and passwords below (click on the venue to access the presale). There will be another presale on Friday morning for Korn tickets. 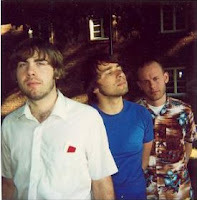 The band is promoting their latest album (untitles) and will cross the US and Canada on their tour. To access the presale for the show at the Eagles Club/The Rave/Eagles Ballroom in Milwaukee click here and use the password EVOLUTION. For presale tickets to the show at Star Plaza Theatre in Merrillville go here and enter the password STAR. The one and only Morrissey (whose voice you'll instantly recognize from 80's band The Smiths) will be playing a few shows at the end of October and beginning of November. Presale tickets will be available here for the show at Genesee Theatre in Waukegan when you use the password SUEDEHEAD. For the show at Star Plaza Theatre in Merrillville just click here and use the password STAR. 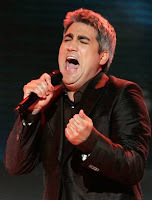 American Idol winner Taylor Hicks will be wrapping up a brief tour through the south and east with a show at Ferguson Center for the Arts Concert Hall in Newport News, VA. Hicks is touring behind his self-titled debut album, though he's been creating music and performing since before his days on American Idol. Access the Newport News presale right here on Friday morning and use the password PROUD. Single game tickets to see the Florida Panthers will be available through a presale on Friday morning. You can access all of the presales from this page, be sure to use the password TMDEAL. Good luck! Regina Spektor is still touring behind her 2006 release Begin to Hope, and will bring her show to the Grove of Anaheim this fall. Presale tickets will be available on Thursday morning when you click here and use the password FIDELITY. 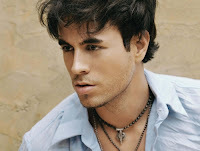 Enrique Iglesias will be playing a single show in the US, and it will be at LA's immaculate new NOKIA Theatre. Iglesias is promoting his latest album Insomniac and the single Somebody's Me which has been getting lots of MTV airplay. Presale tickets to the show will be available right here when you use the password INSOMNIAC. 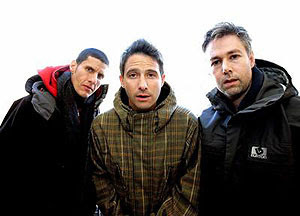 That's right, there will be another presale for the Beastie Boys' upcoming tour, and this time it will be for the show at the Fillmore Detroit. You can get your presale tickets right here on Thursday morning when you use the password MIXUP. The following require a unique iTunes password, or a fan club password. Using a unique iTunes password means purchasing the album digitally from iTunes and using the password (that will work only once) to access the presale. If you're not yet a member of the fan club but would like to purchase tickets that way you'll be able to buy the membership and presale tickets in a bundle, so you can check out your tickets first, and if you're satisfied pay an additional $25 to become a member. Swedish band Peter Bjorn and John are heading out on a tour through the US this fall, and while most tickets have gone on public sale, there will be a presale on Thursday morning for the show at the Palladium Ballroom in Dallas. Although this band is relatively new to the states, it's likely that you've heard their 2006 single Young Folks from the Writer's Block album that features an addictive melody and the soft voice of Victoria Bergsman. Access the presale when you click here and use the password YOUNG. Good luck! There will be yet another presale for a Kings of Leon show, this time when they play with the Black Rebel Motorcycle Club at the University of Iowa Main Lounge. Presale tickets will be available right here on Thursday morning when you use the password KINGS. 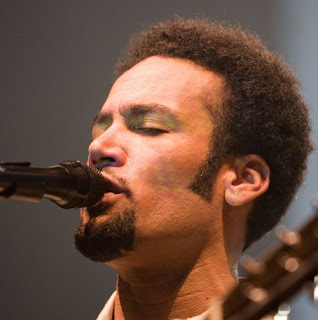 It's true, there will be another round of presales on Thursday morning to see Ben Harper and the Innocent Criminals. The venues and presales are below. Good luck! As we mentioned here, the US Women's Soccer Team will be playing the Mexican team, but this time it will be at PG&E Park in Portland, just a few days prior to the New Mexico game. You can access the presale right here, right now, and the password is MEMORABLE. Good luck! The Queens of the Stone Age recently released the album Era Vulgaris, and are going on tour to support their latest effort this fall. They'll be appearing all over the country, and presale tickets will be available for several of their shows on Thursday morning. Click on the following venues to access the various presales: the Electric Factory in Philadelphia, WaMu Theatre at Madison Square Garden, Northern Lights in Clifton Park, The Fillmore Detroit, and the Riviera Theatre in Chicago. The password for all of the presales is SICK. There will also be a presale on Thursday for the show at Nokia Theatre Live in LA, and the password for this show is VULGARIS. Although word on the street has been that Kelly Clarkson's My December tour was cancelled, the American Idol alum will be playing just a couple of shows this fall. The first two will take place at the Beacon Theatre in NYC, and the third will be at Turning Stone Resort and Casino in Verona. Presale tickets will be available on Thursday morning to members of the Kelly Clarkson fan club, who will receive a unique presale password when they sign up. You can access all three from here. The US Women's National Soccer Team will be playing Mexico at the University of New Mexico's University Stadium this October. 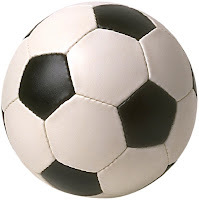 This game will come after the US Women's National Team competes in the FIFA Women's World Cup in China this September. There will be a presale for tickets to the game on Wednesday morning, and you can access it here. The password is BREAKAWAY. There will be a presale for Velvet Revolver on Wednesday, but early tickets will only be available to fan club members. If you're not yet a member of the Velvet Revolver fan club you can actually purchase your membership with your presale tickets when you click here, it will cost you an additional $45 for yearly membership along with the cost of tickets. If you're interested in purchasing presale tickets we recommend getting them this way so you can see the location of your tickets before you commit to paying for membership in the fan club. Good luck! There will be a Fight Club presale for the U.S. Bank Arena event in Cincinnati, OH. on October 20. The presale happens today at 10 a.m. Central time. The password is a unique that will be given to you by the official Fight Club fan club. A one-year membership can be purchased for $64.99 from UFC Fight Club here. 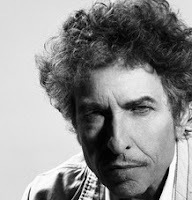 There will be a few more presales on Wednesday morning to see Bob Dylan with Elvis Costello opening. Fan Club Presales for the following shows start today, using the password listed. For the show at the Constant Convocation Center in Norfolk: (you can access the presale here). The password RACHEL. The WWE will be bringing Raw to the San Diego Sports Arena at the beginning of November. Presale tickets will be available beginning Wednesday morning at 10am. You can access the presale here, the password is CENA. There will be a presale on Wednesday morning to see Ben Harper and the Innocent Criminals at the Orpheum Theatre in Vacncouver. You can access the Live Nation presale right here and be sure to use the password INDIE. Good luck! There will be a few college basketball events going on at Madison Square Garden this November and December, and there will be presales for them on Wednesday morning. First up is the Coaches vs. Cancer Classic - Semifinal Doubleheader, which will be hosted by Connecticut, Kentucky, Memphis, and Oklahoma, and will take place on November 15th. Presale tickets for the semifinals will be available right here at 10am. There will also be a presale for the Championship Doubleheader which will take place the following day on November 16th. For presale tickets to the championships just click here. The last event will be the Jimmy V Classic on December 4th which will pit Kansas State against Notre Dame and USC against Memphis. You can access the presale for these games right here. The password for all of the events listed above is BRANGERS. A second show was added right after the initial on-sale for the Wachovia Center this morning. Tickets are showing as sold out after an initial search, but if you keep trying and select the lowest price level, tickets, are coming up. As of this posting, the markets are strong for this ticket type, but Check them first. You can purchase tickets from the Comcast Spectator site here. The Philadelphia Eagles will put Standing Room Only tickets on sale for all of their 2007 regular season games, starting tomorrow (Wednesday) at 10 a.m. EST. It is unlikely that this will be an easy ticket, so don't be late. This is a public sale so there is no presale password needed. 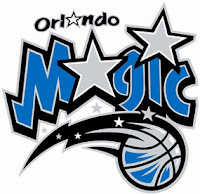 You just need to go to Ticketmaster.com and choose the game you want to purchase. To check the current market for Eagles tickets and take a look at which teams will be visiting Lincoln Financial Field this season, please click here. Bob Dylan and Elvis Costello will be playing together for a handful of shows this fall, and there are several presales happening in the next few days. The system they'll be using gets a little convoluted so we're going to break it down for those of you hoping to get presale tickets. Hot Seat Packages will be available for some shows, and those can usually be purchased before the internet presale starts, and again before the public onsale starts. The Hot Seat Packages include a premium Hot Seat Ticket Location, exclusive Hot Seat Package merchandise gift item, and a collectible Hot Seat laminate. The fan club presale will take place a few days before the public onsale, and the password for these are free. The local presale will generally take place after the fan club presale but before the public onsale. These are usually sponsored by radio stations in the area. -Hot Seat Packages will go on sale Wednesday at 10am and again on Saturday at 10am. -Fan Club Presale will begin Tuesday at 10am and will use the password ROBIN. -There will be no Hot Seat Packages offered for this show. -Fan Club Presale will begin Tuesday at 10am and will use the password BLACKDOG. -Presale and general onsale are already underway. -Presale tickets will be available Tuesday using the password HAMBURGER. -Presale tickets will be available Tuesday using the password REGGIE. -Hot Seat Packages will go on sale Wednesday at 10am. 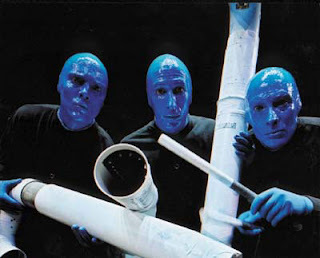 The Blue Man Group is traveling across the US with their How To Be a Megastar Tour 2.1. They'll be making a stop at the American Airlines Arena in Dallas, and you can get presale tickets now. For Blue Man Group presale tickets for the show on October 6th click here, and for the show on the 7th go here. Both presales use the password ROCKBOX. Good luck! Scottish band the Jesus and Mary Chain are back together for a new album, their first since Munki was released before they broke up in 1999. They'll be playing a show at the House of Blues in Anaheim in mid October, and there will be a Live Nation presale on Tuesday morning. You can access the presale when you click here and enter the password INDIE. Switchfoot and Reliant K are going out on tour together this fall, and presale tickets for most of the dates will be available on Tuesday. 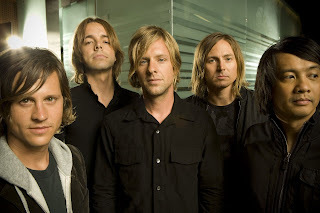 Switchfoot is touring behind their latest release, Oh! Gravity, and will be going to Australia and New Zealand before making their way back to the states. Reliant K is promoting their latest, Five Score and Seven Years Ago, and both of these bands' albums are currently available. There will be a Target presale on Tuesday morning, and you can access it right here. A Target presale requires you to buy the album directly from Target, and when you do so you'll receive a unique password which you can then use to obtain presale tickets. That's right, each password is different, so you'll have to actually purchase the cd from Target to gain access. New Orleans funk band Galactic is will be heading out on a US tour this October and November, and there will be a presale for one of them on Tuesday morning. Click here to access the Live Nation presale for their show at the House of Blues Sunset Strip in Hollywood - the password is INDIE. The public onsale for all shows will be this Saturday morning. Good luck! 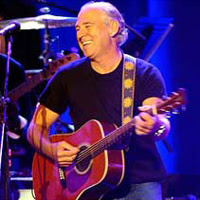 Jimmy Buffett has announced several dates for an upcoming tour that will take him across the US, and even over to Hawaii. You can click here to see all of the available shows and get tickets, which are currently available to general public. Good luck! Update: Please note that as of September 25, 2007, there appears to be two major changes to the way Hannah Montana presales are done. First, there are now residency restrictions placed on who can buy tickets. If you are not from the state or surrounding state where the show will take place, your order will be validated. Also, Ticketmaster appears to have done away with the Fan Club bundle presale described. Other than that, the information below should still be accurate. We have been getting a lot of inquiries about the Hannah Montana presales that are going on this week, so we figured we would take a second to explain what is going on. If you go to Ticketmaster and see a presale for Hannah Montana in a city near you and want to purchase tickets, you basically have up to three chances. FAN CLUB PRESALE: The presale is sponsored by the Hannah Montana Fan Club, Miley World. You must join to access the presale. There is a fee of $29.95 for one year of fan club membership. Hannah Montana presale ticket access is included. You get a unique presale password that can be used by only you to purchase tickets. FAN CLUB BUNDLE: This presale is the same as the Fan Club presale, except that you can join the Fan Club and see presale tickets all at the same time. So, the advantage is that if you don't like your tickets, you don't have to join the fan club. PUBLIC ON-SALE: The tickets for the public on-sale are generally not as good as they are for the presales, but you don't have to join the fan club. If you are a price sensitive fan, trying during the public on-sale might be a good solution for you. OUR RECOMMENDATION: If the fan club presale and fan club bundle presale both happen at the same time, use the fan club bundle. You get to see your ticket location before you buy tickets and you don't have to waste time entering a presale code, so you will be faster on Ticketmaster. The Wiggles Presale Password for all presales happening today is WAGS. Van Morrison will be playing a show at the United Palace Theatre in New York in mid October, and presale tickets will be available on Monday morning to American Express card holders. This will be an AmEx presale, which means that to obtain tickets you must use an AmEx card. First go here to get the tickets and enter the password, which is the 800 number on the back of your card. When you're asked to enter your credit card info you will be required to pay with an American Express card. Good luck. That's right, there will be another presale for the Beastie Boys as they make their way across the US backing their latest album, The Mixup. The presale will be for the show at Charter One Pavilion at Northerly Island in Chicago, and you can access it right here. The password is MIXUP.